LowestMed Review: Does it Work? LowestMed is a simple service which for the vast majority of users delivers the goods. There may be some quirks among smartphone users (especially Windows devices as of this writing), but in most cases these problems are isolated and addressed by customer service. If you are paying cash for prescription drugs, there is no reason not to try LowestMed. Even those with insurance may still want to give it a whirl to see if they can achieve additional savings. LowestMed is a service which allows consumers to search local pharmacies for the lowest price for prescription medications. LowestMed is free to use. The ad below has been airing as of August 2015. LowestMed offers the simple task of comparing cash prices for prescription drugs in your area. You can access LowestMed via the web or smartphone apps for Android, iOS, and Windows Mobile. We have put the service to the test on all three mobile platforms and the web, and found that the service delivers exactly as promised, save for Windows Mobile, where it was unusable in our tests. In our area, Costco almost always appeared as the least expensive result, however we found some lesser known pharmacies to be surprisingly competitive (Kmart, for example, often outranked more popular pharmacies). 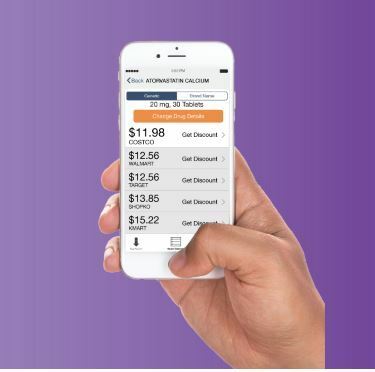 For those who pay cash for prescription drugs, this is an invaluable tool which easily replaces the tasks of calling around to different pharmacies to obtain a price quote, or to attempt to find price matching pharmacies. As of this writing, we found the latest version of the iOS app to be the best performing mobile version, while the Windows version did not work at all (entering a drug name forced it to crash every time). As of August 2015, LowestMed has a 3.5 star rating in both the Google and Apple stores, although this is perhaps lower than expected due to older versions which did not work as well as the current version. LowestMed also offers a discount program which is accepted at over 60,000 pharmacies. It requires no membership or signup to use. You simply show the card when purchasing your prescription, and see if the price is reduced. We have not tried this feature, so if you have had experience with it, please tell us your thoughts in the comments below. Despite occasional glitchiness of various smartphone apps, we give LowestMed a rare 5-star rating because of its ease of use and the fact that no personal information is required. Have you used LowestMed? Tell us your thoughts below. Easy, just put in the medication and zip code, then print out a coupon for 80% off. I had a medication go from $5 to $270. Tried Blink, GoodRX, and others and finally found LowestMed. The lowest others could get was $121, but LowestMed got it for $48 right down the street at Target.